The julienne sizes of 4 different blades are 3 mm, 5 mm, 10 mm, and max 70 mm (flat blade). 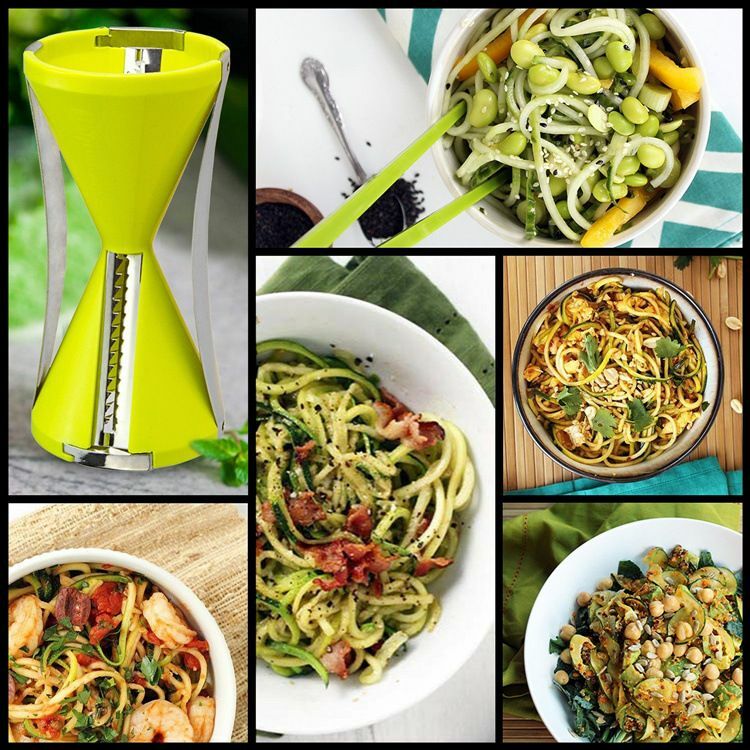 Easily create noodles and julienne, spiraling from a wide variety of straight and firm vegetables: carrots, cucumbers, zucchini, squash, radish, potatoes and so much more. The 4 blades are easy to remove and install. Easy to clean when you take the blades out and wash them individually. Interactive Digital Kitchen Measuring Cup - It Does The Work For You ! !